Among the things I value most in the work of William Blake are his outrage at cruelty and injustice, his energy and his reverence for life. Is this a holy thing to see/In a rich and fruitful landBabes reduced to misery/Fed with cold and usurous hand? In a fine article published in The Guardian, Philip Pullman notes Blake’s aversion to what the “single vision” of Isaac Newton. This was Blake’s term for the literal, rational, dissociated, uninflected view of the world that he saw as characteristic of the scientific method. And it is here that I differ with Blake (but not with Pullman!). Science may often be the captive of evil but it is the natural brother of art and poetry. Albert Einstein put this well when he wrote that our everyday sensation of separateness from the rest of the universe is a kind of “optical delusion of consciousness.” Our task as scientists and citizens, he wrote, “must be to free ourselves from this prison by widening our circle of compassion to embrace all living creatures and the whole of nature in its beauty.” Richard Feynman got to the heart of it when he said that science only adds to the awe and mystery of a flower. 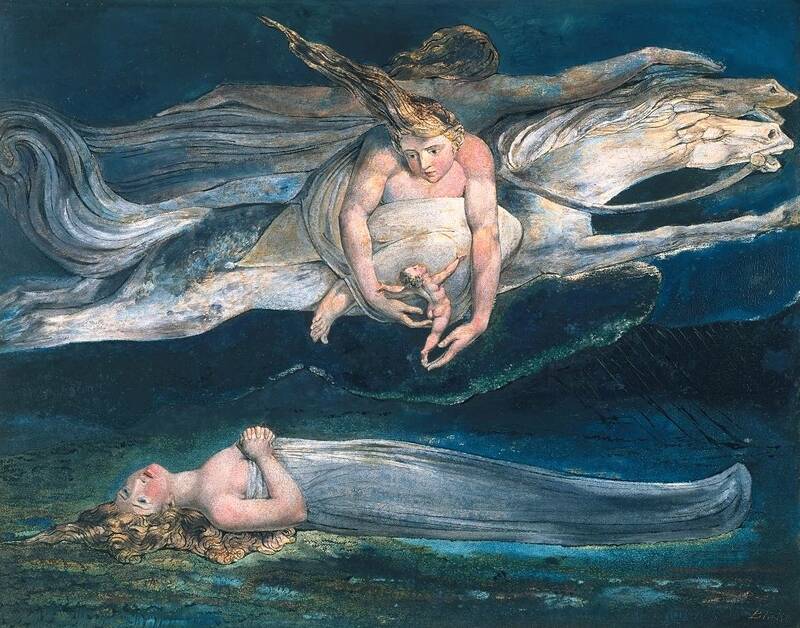 William Wordsworth said that there was something in Blake’s madness which interested him more than the sanity of Byron. Well, Blake was certainly wild. He saw angels in trees. But there is a kind of truth in that, as well as a kind of madness. And Blake was not mad compared to the world in which we live, in which hateful people under the guise of religion commit terrible crimes while powerful nations spend hundreds of times as much upon a single weapon platform as they do on humanitarian and development assistance or combating climate change. Blake is part of a great radical dissenting tradition in England stretching back over many centuries which we need to remember and to celebrate as we organise and cooperate to make a better world for our children.